President Donald Trump recently proclaimed June 2018 to be National Ocean Month and stated his support for better utilizing the vast resources contained in America’s Exclusive Economic Zone, the 200-nautical mile zone off U.S. coasts over which the U.S. has jurisdiction. 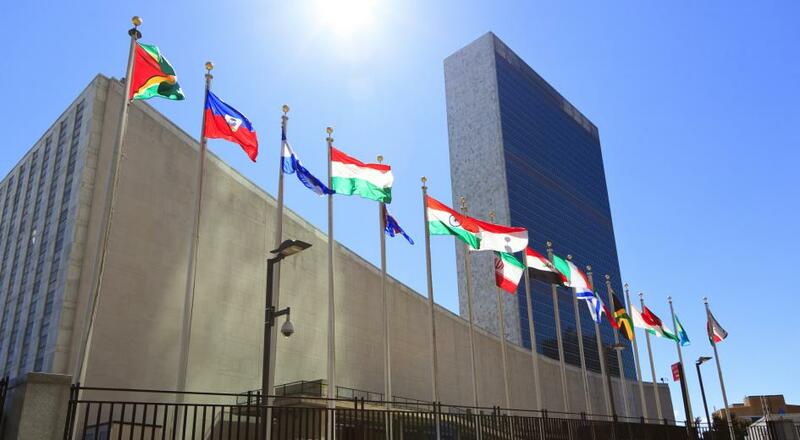 There are now sure to be renewed calls for the United States to accede to the United Nations’ Convention on the Law of the Sea—also known as the Law of the Sea Treaty—as a useful step in this process. Finalized in 1982, the convention codifies long-standing rules of navigation, provides a dispute-settlement mechanism, and regularizes territorial boundaries at sea. More controversially, the convention also establishes an International Seabed Authority, mandates royalties on deep-seabed resources, and transfers of revenues to landlocked and developing nations. Advocates argue that joining the convention would enhance America’s ability to commercially utilize mineral, oil, and gas resources in the deep seabed and strengthen our ability to protect U.S. interests in the Arctic. U.S. membership in the convention would not confer any maritime right or freedom that the U.S. does not already enjoy. The U.S. can best protect its rights by maintaining a strong U.S. Navy, not by acceding to the convention. For more than 30 years, through domestic law and bilateral agreements, the U.S. has established a legal framework for deep-seabed mining. U.S. accession would penalize U.S. companies by subjecting them to the whims of an unelected and unaccountable bureaucracy and would force them to pay excessive fees to the International Seabed Authority for redistribution to developing countries. As a sovereign nation, the U.S. can—and has—secured title to oil and gas resources located on the U.S. extended continental shelf without acceding to the convention or seeking the approval of an international commission based at the United Nations. If the U.S. accedes to the convention, it will be required to transfer a large portion of royalties generated on the U.S. extended continental shelf to the International Seabed Authority, and, through the authority, to corrupt and undemocratic nations. The U.S. should instead retain these royalties and use them for the benefit of the American people. The U.S. does not need to join the convention in order to access oil and gas resources on its extended continental shelf, in the Arctic, or in the Gulf of Mexico. To the extent necessary, the U.S. can and should negotiate bilateral treaties with neighboring nations to demarcate the limits of its maritime and continental shelf boundaries. If the U.S. accedes to the convention, it will be exposed to climate change lawsuits and other environmental actions brought against it by other members of the convention. The U.S. should not open the door to such politically motivated lawsuits that, if resulting in an adverse judgment against the U.S., would be domestically enforceable and harm our environmental, economic, and military interests. The U.S. has successfully protected its interests in the Arctic since it acquired Alaska in 1867 and has done so during the more than 30 years that the convention has existed. The harm that would be caused by the convention’s controversial provisions far outweighs any intangible benefit that allegedly would result from U.S. accession. We simply are not persuaded that decisions by the International Seabed Authority and international tribunals empowered by this treaty will be more favorable to U.S. interests than bilateral negotiations, voluntary arbitration, and other traditional means of resolving maritime issues. No international the seas, and we are confident that our nation will continue to protect its navigational freedom, valid territorial claims, and other maritime rights. On balance, we believe that the treaty’s litigation exposure and impositions on U.S. sovereignty outweigh its potential benefits. The 34 senators opposing ratification in 2012 were correct in their assessment of the costs and benefits at the time. Nothing has changed to lead the U.S. to reconsider accession today. On the contrary, the inability to force Chinese compliance despite a dispute tribunal ruling against Chinese claims in the South China Sea only serves to illustrate that international organizations lack the ability and authority to prevent such aggressive acts. Between friendly and democratic nations, the convention adds nothing. When a great and autocratic power like China is involved, the convention achieves nothing. To rely on it as a way to restrain a rising China is to make the error of thinking that paper beats scissors. At the core, the problem with the convention is that it was fundamentally ill-conceived. The convention contains two boxes: Box A is its provisions on freedom of navigation (which are fine, though not enforceable through the treaty) and Box B is its transfer of billions of dollars of resources to developing and landlocked countries that did absolutely nothing to bring those resources to market. Much of the point of the convention was to get the developing and landlocked countries to accept Box A by bribing them with Box B. However, freedom of navigation was already well-established under customary international law before the convention, and thus incumbent on the developing and landlocked nations. It was therefore wrong to bribe them into signing onto it, especially as they benefited from that freedom while doing nothing to enforce it. Thus, from the U.S. point of view, the convention is a bad deal. Its drafters were deeply imbued with the bad ideas of the 1970s, chief among which was a collectivist, statist approach to development. Those ideas shaped the convention—and led Ronald Reagan to oppose it before he became president and vote against the convention at the 1982 United Nations Convention on the Law of the Sea and refuse to sign it. Despite subsequent changes in 1994 that led the Clinton administration to support U.S. accession, the Trump administration should oppose accession to a treaty that offers few benefits and many risks to the U.S.